Blond Ambition Tour massive articles update – 71 original newspaper reviews added! Like a Prayer / Pepsi promo page updated with a load of rare material! Madonna True Blue album promo page updated with new items! Who’s That Girl film – more magazine & newspaper clippings added! This rarely seen official German press poster has just been added to the memorabilia section of Desperately Seeking Susan in the Filmography. This large size official poster is a compilation of various German press articles on the movie. Who’s That Girl Tour official jacket added! This rare official 1987 Who’s That Girl World Tour jacket has been added to the memorabilia section of our Who’s That Girl Tour page. 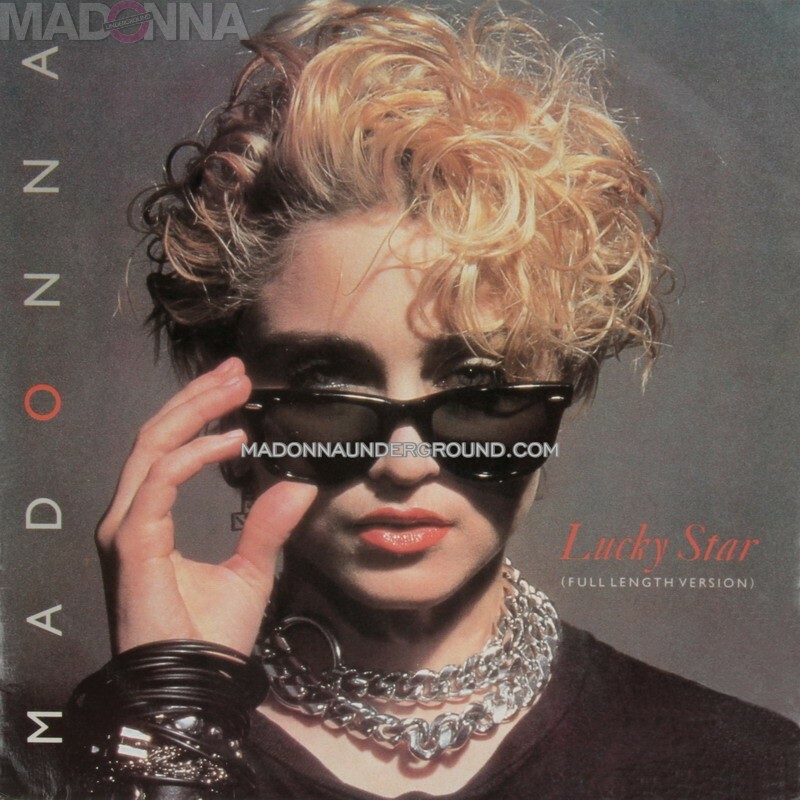 We have just added the rare Lucky Star U.K. 12″ sunglasses sleeve to our Lucky Star discography. We already had the Irish pressing up, but here is the U.K. too! 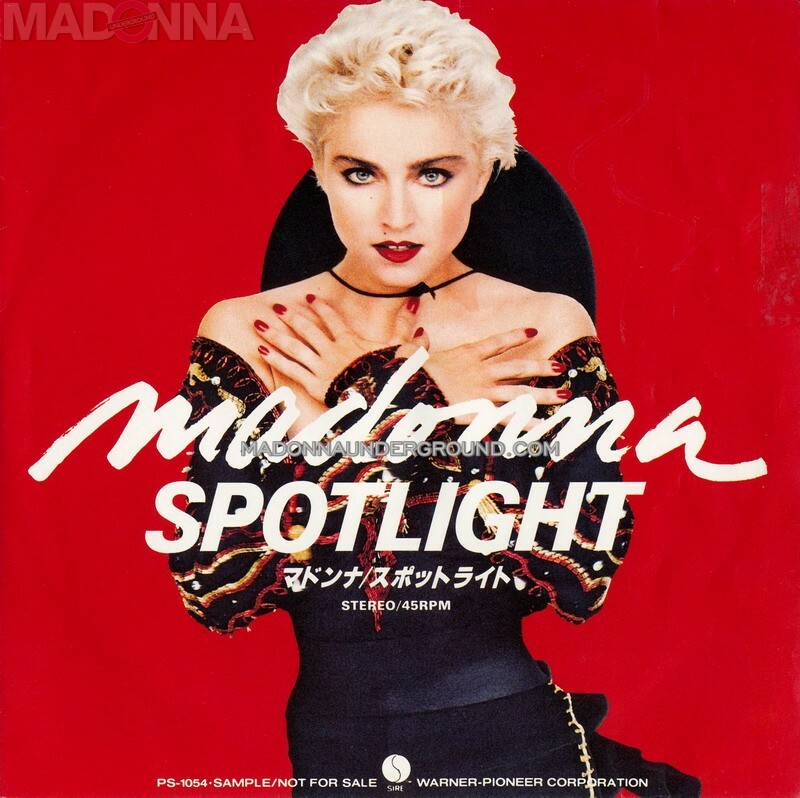 Madonna’s first worldwide remix album ‘You Can Dance’ was widely advertised mentioning that it contained one brand new song titled ‘Spotlight‘. Originally planned to be the new single, eventually was only commercially released in Japan. We have collected 8 different pressings of this (promo) single for you to view in our discography. Who’s That Girl UK Sales Presenter added!